Becky is originally from Manchester, UK where she was born and raised. Having lived, worked and studied in London, Becky gained a BA (Hons) in Drama, Applied Theatre and Education from the Royal Central School of Speech and Drama, University of London in 2010, and since then has travelled round Europe, Asia and the U.K. working as a children’s theatre writer and director. She has written and directed both original and adapted stories for organisations ranging from local community libraries in Malaysia, to The National Theatre, England. 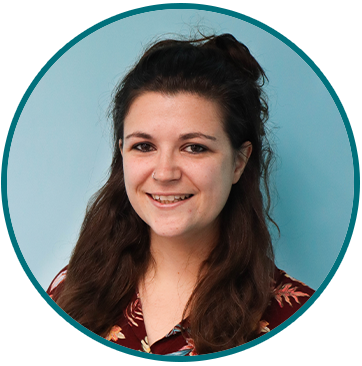 Becky specialises in writing for young audiences and has developed many stories and plays for children as young as aged 1, as well as scripts and short stories for young people aged 16. With a love of dreamy fantasy and parallel universes, her favourite authors include Oliver Jeffers, Philip Pullman and of course J.K Rowling. Becky is excited to be continuing her work with ECP, uncovering the imaginations and documenting the stories of our young generations here in Hong Kong. What I love most about my job is getting to peek inside the imaginations of our students and witness the start of an idea flourish into a complex and creative, full-fledged story. We are all storytellers, creators and writers, and I feel privileged to see our students’ confidence grow as they realise the power of their own voices. I love to be able to help shape those ideas and opinions – with their creators – into wonderful works of art to share with other readers and listeners. If I could go to any fictional world for a day, I would go to Lyra’s universe in Philip Pullman’s trilogy, His Dark Materials. I would love to visit the North, meet the armoured bears, witness the magic of the northern lights and find out just exactly what animal my daemon (spirit) would be!